Films reviewed: “Anomalisa”, “Black Mass”, “Brooklyn”, “Carol” (pictured above), “High-Rise”, “Steve Jobs”, “Suffragette”, “Trumbo” and “Truth”. The festival’s “surprise film”, not strictly a gala, was more of a treat given it wasn’t, as rumoured, The Danish Girl or The 3, and actually something I’ve been curious about from even before its 2012 Kickstarter campaign. Stemming from a 2005 “theatre for the ear” project, alongside Hope Leaves the Theatre (which I adore), Anomalisa in visual form is a pure distillation of Charlie Kaufman’s writing, without the Russian doll constructs that can distract from his melancholy portraits. Supposedly little has changed from the original script in its transformation to stop-motion. Three actors still make up the entire voice cast: Thewlis is Michael, a motivational speaker who’s essentially a verbal puppeteer, and everyone else is played by Noonan. Except for Lisa, that is, whose intonations from Leigh are a startling turning point – through the preceding half-speed dialogue and everyday activities (get ready to see a puppet urinate and struggle with a hotel door key, not at the same time) we witness in real-time the process of falling in love when her laugh breaks the Fregoli delusion. In contrast to a dreary universe, in which everyone sort of realises they’re a stop-motion creation, Lisa’s unique voice turns “Girls Just Want to Have Fun” into an a capella minute of wonder – then it’s punctured by a gag, because Kaufman is still as funny as he was before Synecdoche. However, the aural intimacy of Michael and Lisa’s overnight romance can’t mask the ordinariness of these two self-loathing strangers, paving the way for a mundane reawakening. 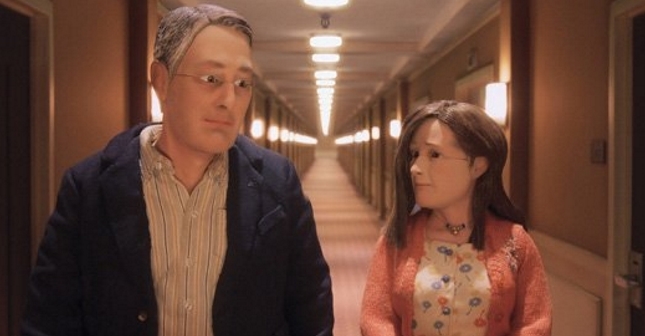 To escape loneliness, naïve optimism is required when everyone in Anomalisa is cut from the same puppet cloth. Rather than forge human connections through joint experience, Kaufman reasons it makes more sense to walk in the sun alone. Just as gang leader and FBI informant Whitey Bulger was too rich to get away with his lifestyle, his life was also too rich to not become a film – especially as an excuse to plaster Johnny Depp in prosthetics. 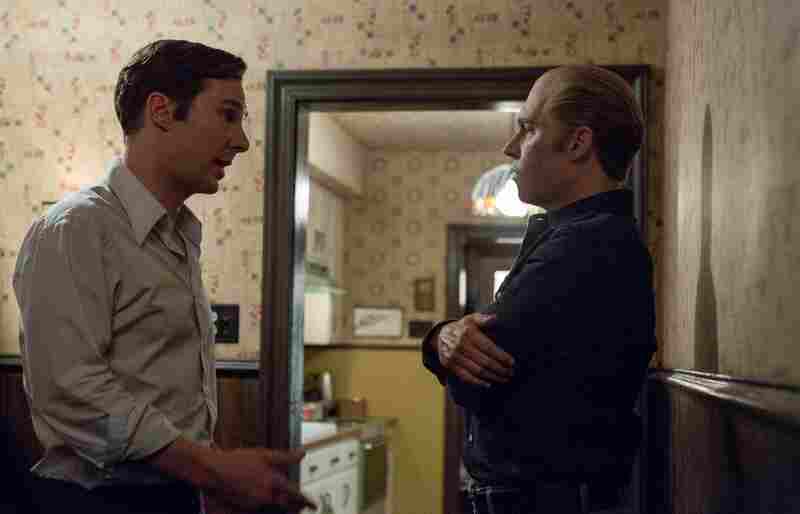 A 70s crime drama in style and story, Black Mass is to The Departed what The Departed is to Goodfellas. The dinner scene is a terrific example of Bulger as an unpredictable menace who can still strike fear into those who thought they knew him best. In Ireland, Eilis is a sister and daughter, surrounded by rugby dopes and familiar faces; just no job prospects. Landing in America, suffering seasickness along the way, Eilis crosses the pond to be a small fish in a… wait, that’s also a phrase? Staying in a boarding house (run by a very amusing Julie Waters) with gossipy girls, she’s lonely, writing home all the time and – oh boy, this is moving – tearing up over letters of the dull, comfortable town she’s left behind. But then Eilis falls in love with Tony (Emory Cohen), an Italian plumber who’s too good to be true. Hanging off a lamppost, impersonating Gene Kelly, he’s head over heels for her, and so is she for him. Crowley’s period details accentuate the romance signposted by little details – such as a swimsuit sight gag, and paranoia over eating spaghetti incorrectly – that are likely to be lodged in the memory, much in the way, say, the lobster bit in Annie Hall. 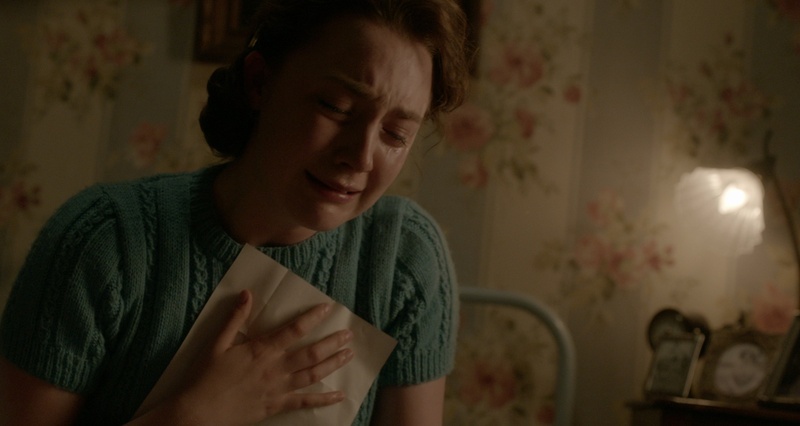 When bad news arrives for Eilis, involving a trip home, Brooklyn develops into a less slushy, more substantial drama. Adorning sunglasses in rural Ireland, she’s moved on, but to let her friends and family know would be a betrayal. Not all of this section entirely works, though. A potential dalliance with local boy Jim (Domhnall Gleeson) falters because the character’s so bland and underwritten in comparison to Cohen’s infectious charm. 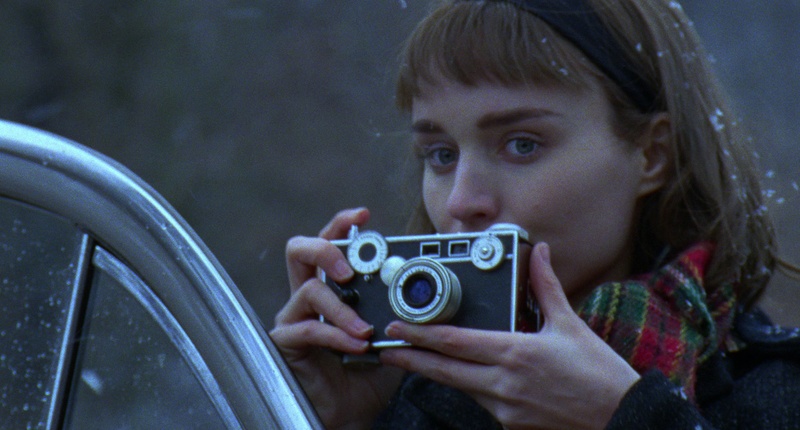 For a film about taking risks and discovering new pastures, Brooklyn is a safe pleasure made worthwhile by two of its three leads, and Hornby’s screenplay – in High Fidelity fashion, by the end he’s sold five copies of Tóibín’s novel. 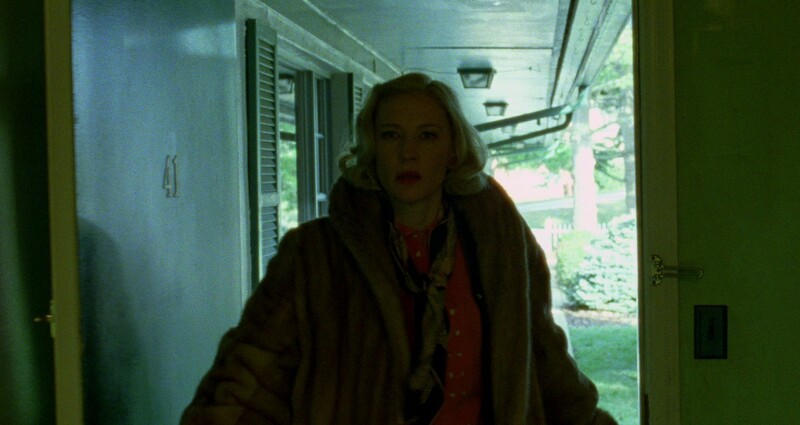 In Carol, the forbidden romance between Therese and Carol (Blanchett and Mara are as excellent as you’ve heard) is from a 1952 novel, but there’s a touch of sci-fi to the relationship and how Therese is, according to Carol, “flung out of space”. Aided by talk of pinballs reacting to one another, Haynes conjures up magic with light brushes of the shoulder and elongated stares, stretching out to dreams of a perpetual sunrise. If the residents of a tower block separately chucked ideas at a wall to see what sticks, it could resemble High-Rise, a slice of absurdist class-war that’s immersive yet frustratingly distant; I was swept away by the intricate production and array of anarchic oddballs, yet there’s no entry point which minimises the impact of its internal battles. Ostensibly the lead is Robert Laing (Hiddleston), a doctor who may as well be a patient with elocution lessons. He moves into a high-rise building designed by Anthony Royal (Irons), who’s inadvertently created a madhouse with animalism deeply ingrained in the architecture. For an exit hatch, there’s only a leap off the roof. Still, don’t expect that much nuance behind the allegory when tension builds between the floors, divided like Snowpiercer according to wealth, leading to a chaotic battle with one ultimate winner: the set design. 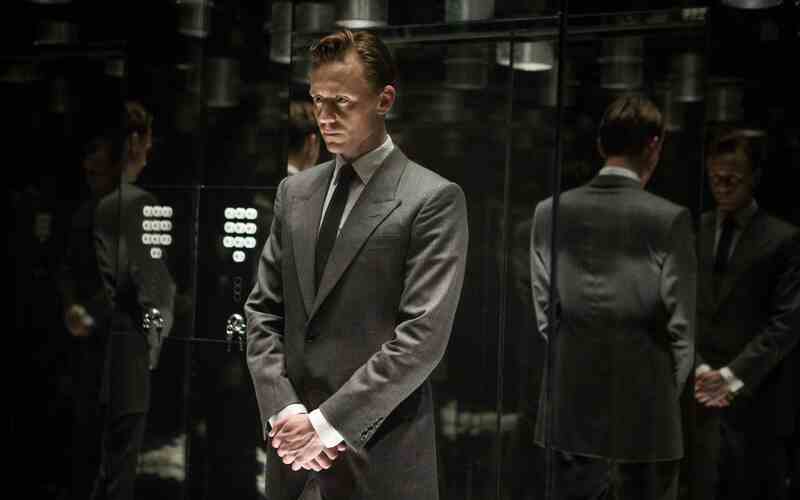 High-Rise appears to be a pet project in love with itself, and I wonder if stern outsider could have fashioned a more disciplined cut. There’s so much to appreciate in Wheatley’s kaleidoscope, it just about excuses how much must be tolerated (including two uses of ABBA’s “S.O.S.” that pale in comparison to the song’s refrain in Moodysson’s Together). Defined by its loquacious jibes and pointless dropping of trivia, Steve Jobs is an Aaron Sorkin film that just so happens to be directed by Danny Boyle – though his stamp is felt with annoying upbeat music cues. Divided into three chapters, each before a product launch, Sorkin’s screenplay has an air of Studio 60 in its rush of excitement and notion that the real drama is always backstage – as it was with the Sony hack, funnily enough. Sorkin sticks to the back-and-forth, walk-and-talk conversation style that makes him one of the few writers to feature on the poster. The required rhythms are mastered by Fassbender, who mines ugly egoism and sharp humour out of Steve Jobs yelling at the lesser beings in his presence. “I don’t have time to waste for you to come up with a metaphor,” he growls at one point. Those supporting cast members are also top notch, although Kate Winslet’s accent changes between acts (I guess this is intentional?) and Katherine Waterston is lumbered with an underwritten, nagging caricature. Watchable throughout, Steve Jobs is commendable for being typical Oscar fare that dares to challenge the norm with its mixture of 16mm, 35mm and digital to define its time periods, and also the three real-time chapters. However, there’s repetition in each section as plot threads, characters and uninteresting thematic concerns (“this will seem strange, but can I ask you about adoption?”) need to be brought up. That might explain why the first 30-minute stretch is the most engaging, although the mystifyingly off ending aids that observation. A collective intake of breath could be heard in Odeon Leicester Square when the credits popped up, scrolling through a list of shame, revealing which countries took even longer than UK to provide women the vote. That Switzerland only made the decision as recent as 1971 prompted audible gasps and a few murmurs of “Switzerland? Really?” Similar emotional bullets struck during a hard-to-watch forced feeding scene and an even harder-to-watch incident involving the death of Emily Davison (played by Press). Those moments aside, Suffragette is a let-down. Carrying a worthy message that could be spread through cinema, that oppression happens all the time and can be fought by brave voices, Gavron’s period drama moves woodenly without engaging in arguments or nuance. Instead, exaggerated heroes and villains are sign-posted, clearly through a 2015 eye, with Carey Mulligan’s character a vague symbol of martyrdom. Not helping is disruptive camera movement or muddled language. Mulligan is excellent; the others may be fighting the same cause, but they’re also acting in different films. If Trumbo is to be believed, some scriptwriters are so committed to the cause that they’ll live life by the book – Robert McKee’s, that is. 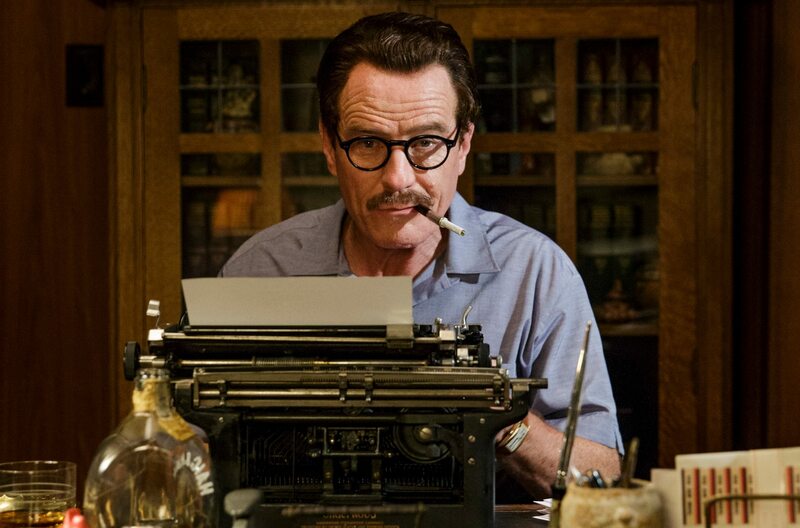 Bryan Cranston plays Dalton Trumbo, an American screenwriter blacklisted for his involvement with Communism, yet able to win Oscars for Roman Holiday and The Brave One under a pseudonym. The biopic is bouncy, light and oscillates between humour and pathos, not quite nailing either. A watchable crowdpleaser, it jumps through the hoops of Trumbo’s writing career – here’s the crack in his marriage, etc – without anything truly sinking in. Beyond Trumbo, the supporting cast – especially Diane Lane’s minimal dialogue as his weirdly passive wife – is barely there, with a Kirk Douglas impersonator as one of the few characters you’ll remember. Although Louis CK in a neat cameo is a a treat. More words on this, plus my interviews with Cate Blanchett, James Vanderbilt and Topher Grace, to come elsewhere in February for its UK release. This entry was posted in Film review, London Film Festival and tagged Ben Wheatley, Charlie Kaufman, Danny Boyle, Duke Johnson, James Vanderbilt, Jay Roach, John Crowley, Sarah Gavron, Scott Cooper, Todd Haynes. Bookmark the permalink.